Brexit: What will 2019 bring? With Britain bound to leave the EU in March, this year’s events will be key in shaping the country’s future for generations. It's the year Britons have been either anxiously awaiting or dreading — depending on where they stand on Brexit. Britain's departure from the European Union, due to take place March 29 at precisely 11 p.m. U.K. time, is the New Year's ball drop that hangs over their heads. If Prime Minister Theresa May has her way and her Brexit deal is approved, people living in the U.K. won't feel any immediate impact. It would be sort of like Y2K, here and gone with more fanfare than actual pandemonium. But what if her agreement is voted down in the British House of Commons? Here's a look at what 2019 could bring. The prime minister struck agreements with the EU for Britain to pay its outstanding financial commitments of at least 39 billion pounds (approximately $67 billion Cdn) and remain part of Europe's single market and customs union until the end of 2020. The U.K. and the EU would try to negotiate a future free-trade agreement in the meantime. Formally called the Agreement on the withdrawal of the U.K. from the EU and the European Atomic Energy Community, the legally binding portion is 585 pages long. It took nearly two years to negotiate. A shorter appendix known as the "political declaration" sets out the framework of Britain's future relationship with the 27-member bloc. 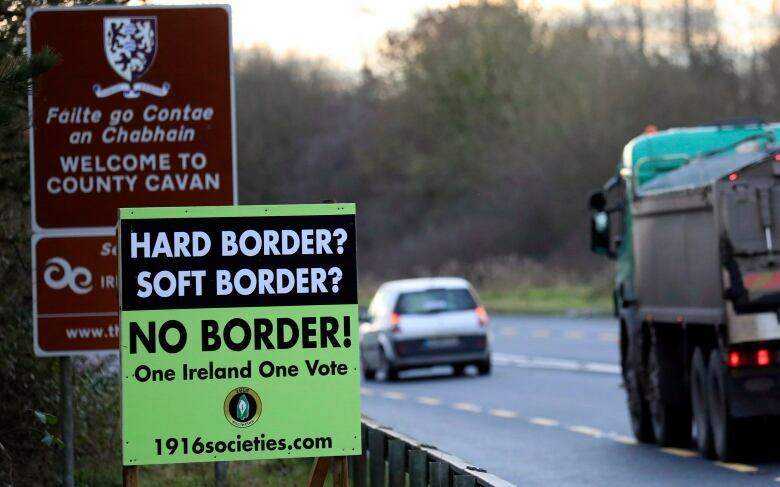 The most controversial element is the backstop, meant as an insurance policy to avoid a physical border between Northern Ireland, which is part of the U.K., and the Republic of Ireland to the south, an EU member. If May's deal fails, the backstop risks coming into force, keeping the country tied to the customs union. Hardline Brexit supporters in May's Conservative Party fear the EU could use the backstop to keep its grip on Britain indefinitely. The prime minister insists her deal is the only option that fulfils "the will of the referendum" and "avoids no-deal," but it lacks parliamentary support. A "meaningful vote" is expected sometime in January. Catherine Haddon, a senior fellow at London think-tank the Institute for Government calls it a "hugely tricky situation." If MPs vote down the existing EU deal, May will have 21 days to return to Parliament with another plan. Brexiteers, including former foreign secretary Boris Johnson, have been demanding May renegotiate the agreement and remove the backstop. 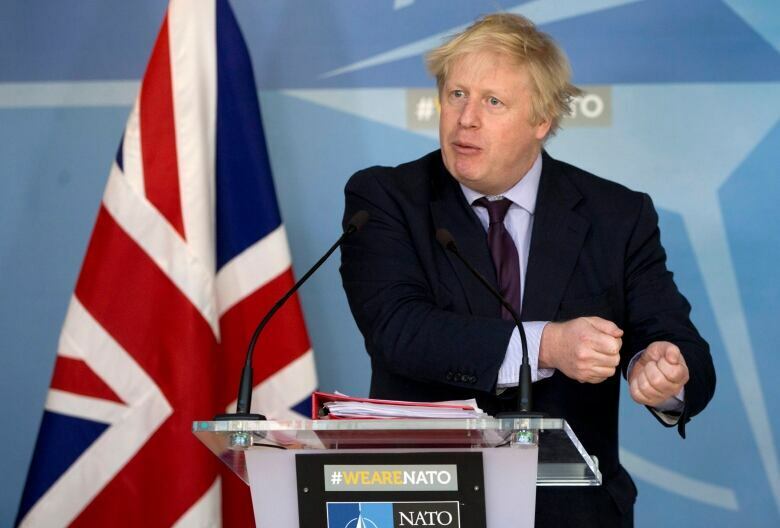 "We need to go back to Brussels and do what they have been expecting all along — and that is finally show some steel and determination," Johnson wrote in the Telegraph newspaper. Most observers agree a different deal would be nearly impossible: EU leaders have said the backstop is non-negotiable and the deal on the table is final. "There is no other fantasy Brexit," Labour MP Anna Turley told CBC News. "People who think they can go and renegotiate are barking up the wrong tree." The prime minister has been trying to convince her EU counterparts to provide formal assurances the backstop won't come into force. I have decided to call <a href="https://twitter.com/hashtag/EUCO?src=hash&amp;ref_src=twsrc%5Etfw">#EUCO</a> on <a href="https://twitter.com/hashtag/Brexit?src=hash&amp;ref_src=twsrc%5Etfw">#Brexit</a> (Art. 50) on Thursday. We will not renegotiate the deal, including the backstop, but we are ready to discuss how to facilitate UK ratification. As time is running out, we will also discuss our preparedness for a no-deal scenario. Such concessions could be the only way to ensure a deal is approved in the House of Commons. Time is running out. Any agreement would still have to be ratified not only by British MPs but also by a majority of the European Parliament. May has warned that reopening negotiations could risk delaying Brexit, which is sure to add uncertainty, and could even clash with European parliamentary elections in May. Crashing out with no deal has become the most unpredictable and likely most destructive outcome of all. Britain would not immediately be forced to pay any divorce bill but could also revert to World Trade Organization rules — meaning that goods previously flowing freely across the English Channel would likely be slapped with tariffs immediately. Long lineups are also feared at the U.K. border. British business groups, fearing the risk of no-deal is increasing, are scrambling. "Businesses of all sizes are reaching the point of no return, with many now putting in place contingency plans that are a significant drain of time and money," they wrote recently. Adding to the confusion, some cabinet ministers have voiced support for a "managed no-deal" as a backup plan to May's agreement. It may sound like an oxymoron, but a "managed no-deal" would mean agreeing to a stripped-down EU deal that avoids the harshest impacts, according to House of Commons Leader Andrea Leadsom. "In the event that we cannot agree to [May's] deal," Leadsom told the BBC, "there could be a further deal that looks at a more minimalist approach but enables us to leave with some kind of implementation period." Confused yet? Consider that any progress could be thrown out with a new plebiscite altogether. 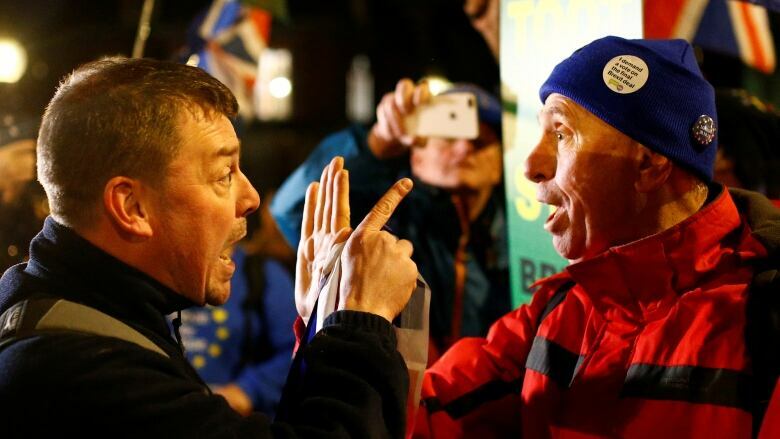 Campaigners demanding a second referendum on Brexit feel more energized than at any other point since Britons first voted "Leave" on June 23, 2016. "It's become abundantly clear in the last few weeks that any deal is not going to pass through Parliament," Lara Spirit, co-founder of the Our Future, Our Choice campaign, said. "There is really no other way out of the gridlock rather than to put the decision back to the people." Some observers have predicted the government could end up tabling legislation for a second referendum with two options on the ballot: May's deal or no deal. In theory, MPs could even add a third option: to remain in the EU. But organizing a new public vote would take an estimated 22 weeks, according to a University College London study. Even with a shorter timetable, it's likely Brexit would need to be delayed past March. Talk of a referendum redo has grown so loud, May felt the need to address the demand in the House of Commons. Another vote, she said, "would do irreparable damage to the integrity of our politics because it would say to millions who trusted in democracy that our democracy does not deliver." With or without another vote, however, Britain could just go ahead and unilaterally cancel the divorce: Europe's top court ruled in December that an EU member state can unilaterally revoke Article 50 of the Lisbon Treaty. Under normal circumstances, if the prime minister were to lose a House vote on key legislation such as her Brexit deal, the opposition would be expected to present a non-confidence motion. Losing that vote could see the Tory government fall and a new general election called (it would be the second since 2017). Again, it's difficult to imagine this scenario playing out unless Brexit were to be postponed. Opposition Leader Jeremy Corbyn has often said his preferred option would be for Britons to go to the polls and elect a Labour government to handle Brexit. If May is unable to secure an acceptable deal, "step aside and let someone else do it," Corbyn told Parliament. He also confirmed to the Guardian newspaper that a new Labour government would forge ahead with the divorce, rather than plan a new referendum. "We go forward, trying to get a customs union with the EU, in which we would be able to be proper trading partners." 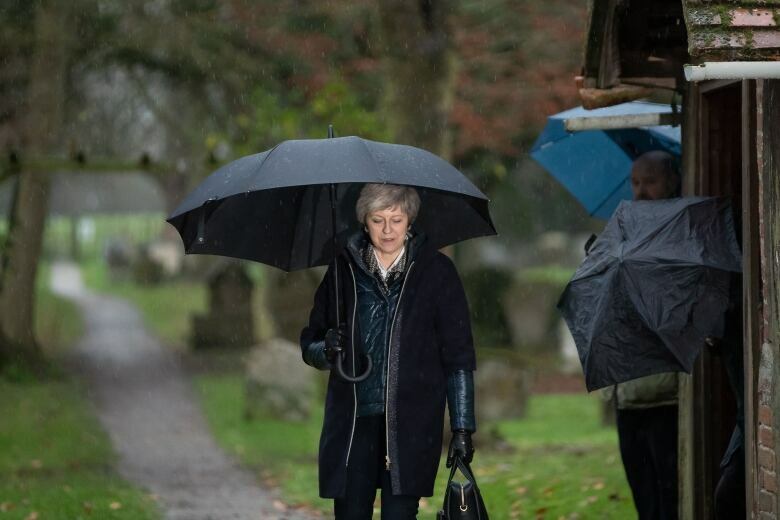 After surviving a recent challenge from within her own party, the prime minister is shielded from another Conservative leadership challenge for a year. But the vote — 200 supporting her to 117 against — showed the level of dissatisfaction of Tory MPs. Her Conservative critics could be tempted to show her the door by supporting an opposition non-confidence motion. "For an MP to vote their own government out of office is a huge deal," Haddon, of the Institute for Government, said. She points out, May's minority government also depends on Northern Ireland's Democratic Unionists for support. If DUP MPs turn on the prime minister, it could guarantee her downfall. What that would mean for Brexit is anyone's guess.